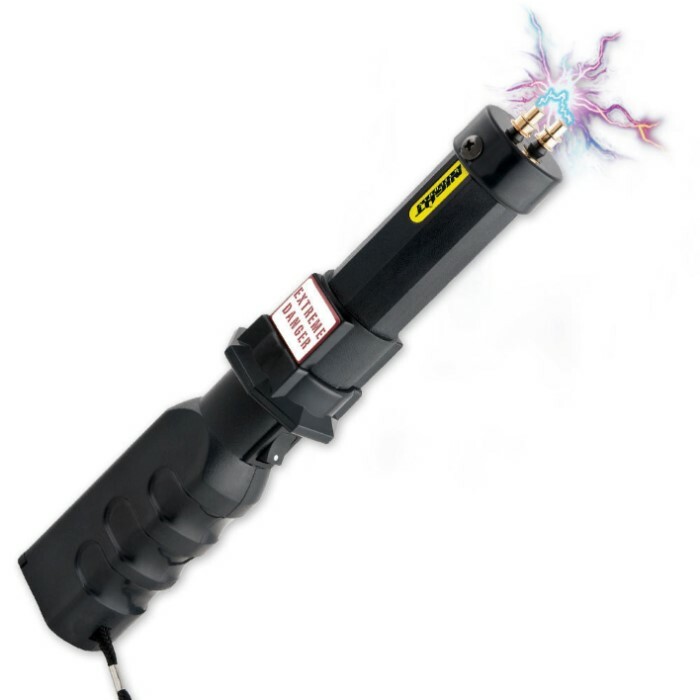 This stun gun delivers 750,000 volts of shocking power to an attacker. Touching the contact probes to an assailant"s body can produce effects ranging from minor muscle contractions up to disorientation and loss of balance, depending upon the length of the blast. This device is powered by two 9-volt batteries. Includes a wrist strap for easy carrying. Measures 10 1/2" x 2". If the sound don't scare an attacker then they deserve what get. I use rechargeable 9 volt batterys and they work great.